Make sure you check out our New Release Hop a tad later today and enter to WIN one of those fabulous NEW lines!!! Now, are you ready to know who the lucky winner of this awesome Springtime line is? Gorgeous colors, beautiful butterflies and birds and great quotes to add to your pretty spring pages. 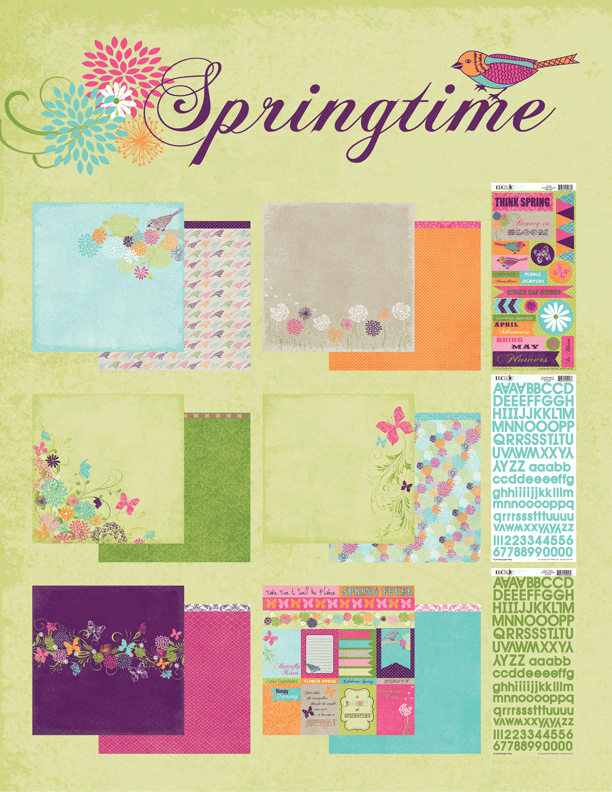 So many pretty spring projects with those beautiful papers! Please send your mailing info to ange@gotmoxxie.com. So we can get your prize out to you asap. 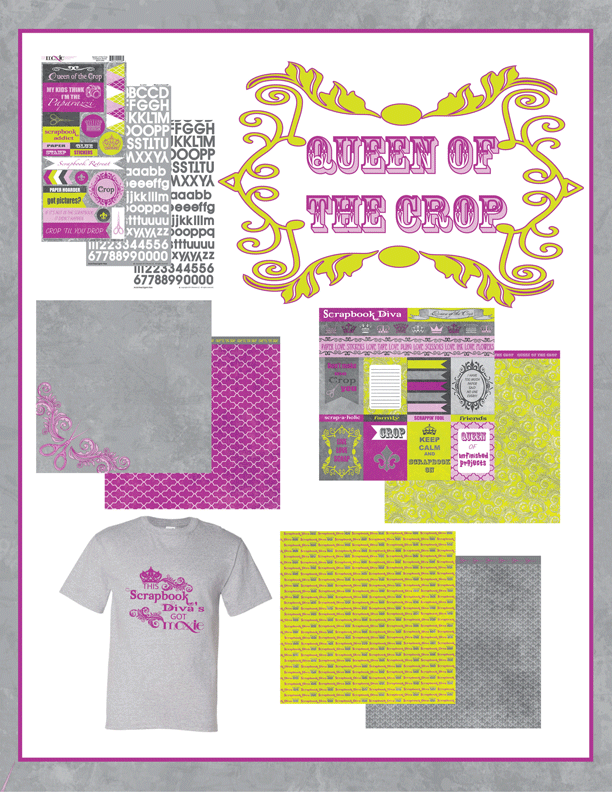 Today we are showing you layout samples from Muses Ange & Rebecca. Here's the sketch one last time, don't forget to link up! She used the Liberty line for this layout. 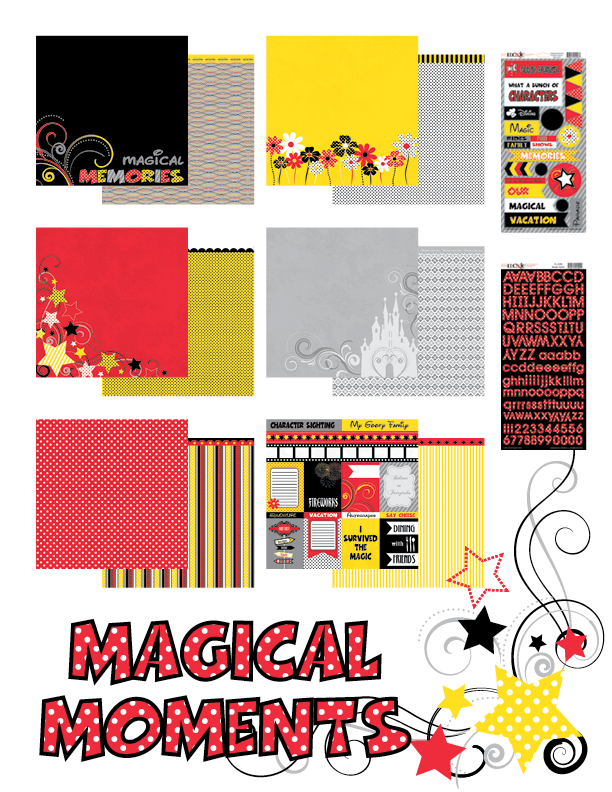 Rebecca has an amazing way of combining vintage-y items with her fun grungy look for some awesome layouts. I really love her style. I had so much fun layering the Winterland papers for this page. I used the 12 inch die-cut strip in place of the banners, fussy cut the snow banner and cute little snowman out of the Cutouts paper and then used some of Moxxie's awesome alphas for my title and date. Remember you have until the 31st to link your paper-made take on this sketch for a chance to WIN one of our newly released lines!! Stay close this week as we start to reveal the amazing projects our Muses have designed using those brand new releases. You won't be disappointed! This month we are mixing things up a bit. Today we are going to start our month long challenge and it's a sketch! Who doesn't love a sketch right? Well one of our very talented designers created this sketch for us this month and for the next few days we will be showing you how our Muses used it to inspire their projects. Here is the sketch created by Muse Samantha Taylor. As you can see Samantha stayed pretty close to the sketch. She changed the photo sizes a bit to work with the photos she was using and I love the way she used a baseball rub-on in place of one of the banners. 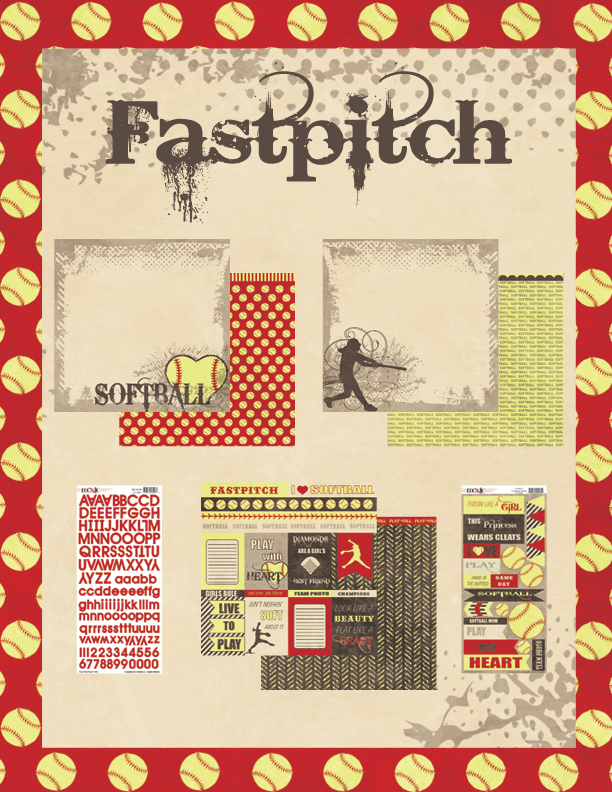 She used a combination of Wrestling, Baseball and TeeBall for this layout. Joan used a fun combination of Winterland and Hit the Slopes for her layout. Joan made this a one photo layout and also changed the overall size of the page to 8.5x11 but you can still see the sketch design. By replacing the single long banners with multiple little ones she's added more to her layout without overwhelming it. I love her use of the layered snowflake in place of the star in the sketch. 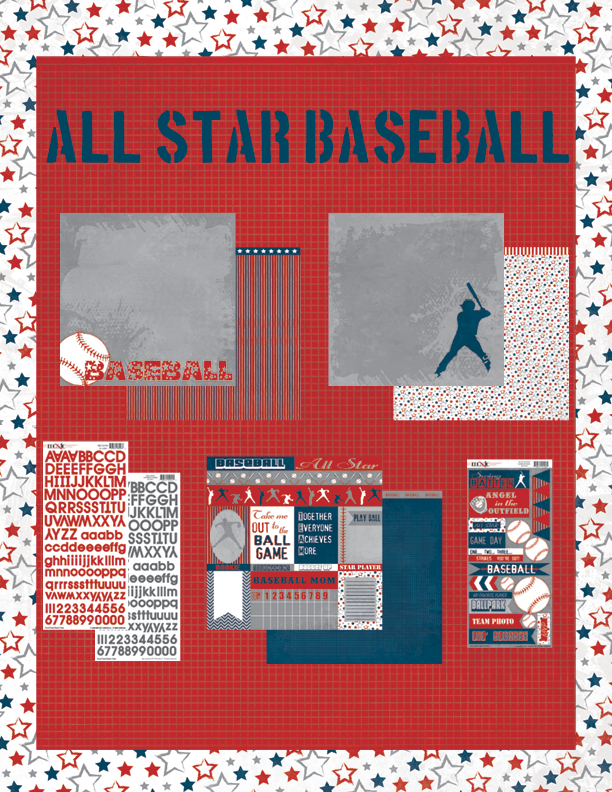 Link your paper-made take on this fun sketch below and you will be entered to win one of our brand new lines! Remember, you get 3 extra entries if you use Moxxie product on your project. See you Monday with more awesome projects from our muses!